Ever tried to search “Hardwood Floor Refinishing Rochester Hills” on Google? If so, you most likely saw hundreds of potential answers to your problem. If you’ve noticed some scratches or scuff marks on your floors, we’re ready to help you fix them. For professional hardwood refinishing from a brand you can trust, set up an appointment with Fabulous Floors Michigan in Rochester Hills, MI today! We’re eager to show you how we can transform your hardwood floors to look like they’re brand new. Our process is GREENGUARD certified, which means you can rest easier. We only use high-quality products to ensure that your home stays clean and safe. Our process is practically dust free, and our certified technicians leave your home better than when they arrived. Call us today for professional hardwood floor refinishing in Rochester Hills, MI. We had many years in the hardwood refinishing industry to establish our simple, yet effective process. First, we’ll sand the entire floor area with our special sanding equipment. We’ll get rid of any dents or scratches and then sand by hand where our sander won’t reach to ensure a thorough service. Next, we’ll apply your stain color to the smooth hardwood floors and then coat a polyurethane finish on your floor once it’s dry. This finish adds an extra level of protection to your floors and that beautiful “new floor” gleam. 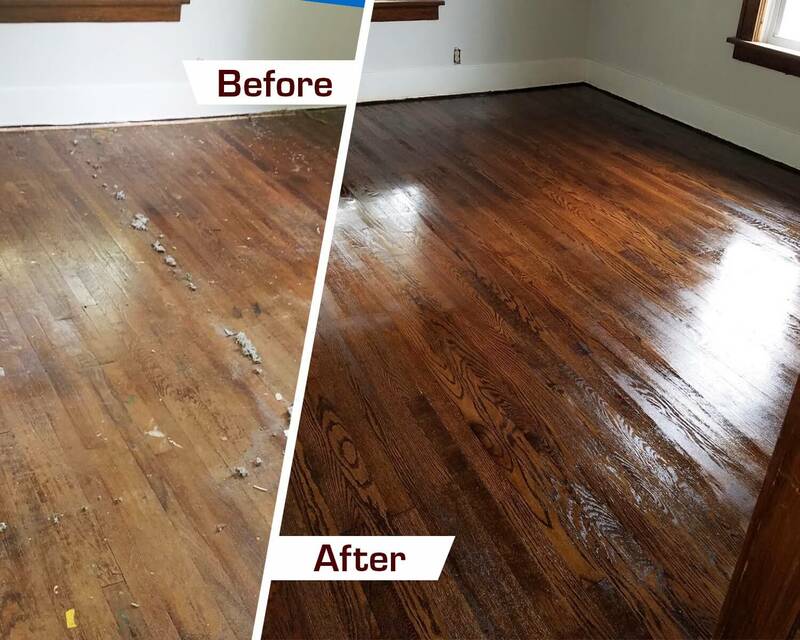 Take advantage of our hardwood refinishing service in Rochester Hills today to see what a difference refinished floors can make in your home! Either leave us a message here on our website or call into the office to get your appointment set up. Bring back the beauty of your hardwood floors today!